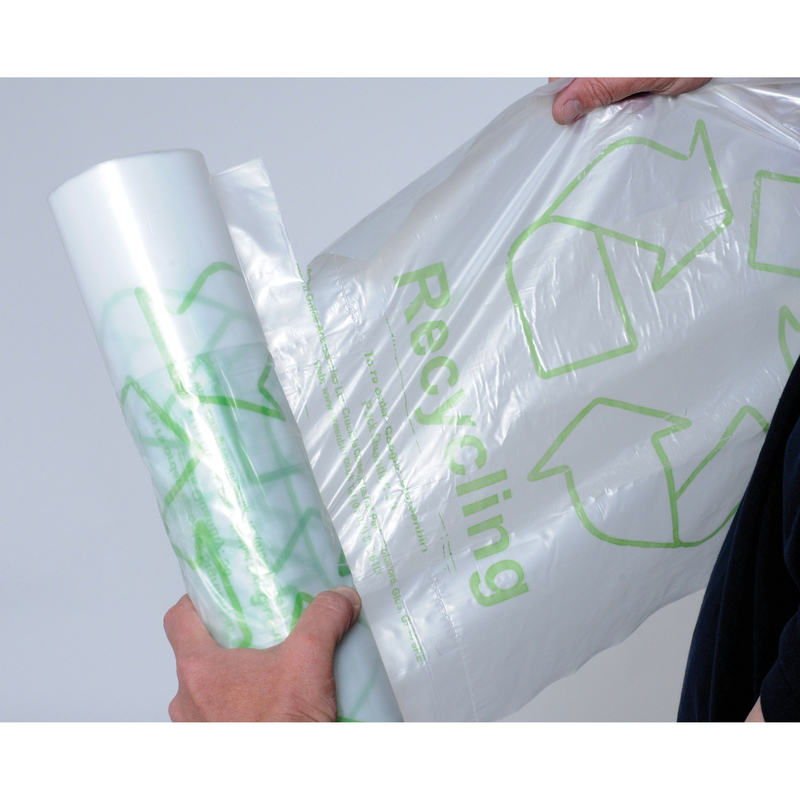 The clear nature of these bin liners ensures that any recycled content is clearly identified as recycled waste & not landfill waste. Acorn Re-usable clear recycling bin liners are supplied in a continuous roll with ‘tear off’ bag perforations for easy dispensing & storage. These have been made as re-usable liners, because 'Biodegradable' bags cannot be recycled and are usually sent to landfill waste. These ‘reusable’ recycling bin liners are manufactured from ‘Virgin’ Polythene. This creates a lower carbon footprint than manufacturing a bag containing recycled material. By using this material we can maintain an accurate and consistent degree of strength in these bags. 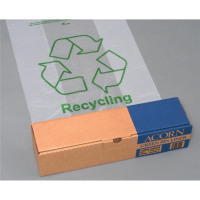 These Bin liners have a flat width of 630mm with a length of 860mm.